Childaid Network wants to promote access to education for young people, because education is the best investment for change. While doing this we focus on marginalized fringe groups of the society like ethnic minorities, street children, refugees and other children and youth from areas with bad infrastructure – the poorest of the poor – who otherwise would be without opportunities. Therefore Childaid Network support education of children and youth in the regions Northeast India, Nepal, Bangladesh, Laos and Myanmar. 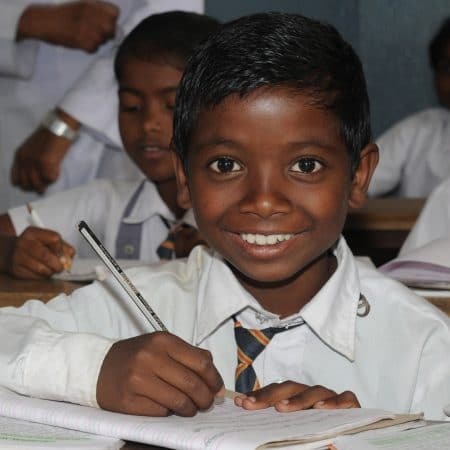 Without education, people of the ethnic minorities are often discriminated and misused by the rich and remain trapped in the cycle of poverty. Children are working in the fields as daily laborers, they look after the smaller siblings at home or look after the cattle. This is the daily routine for so many children in rural Northeast India and the reason why they can’t go to school. In our Intensive course project we are offering children between 9-12 years of age, who have never gone to school or who dropped-out very early, a one year intensive educational course so that they get back on track with their learning levels. After completion of the course children can be re-enrolled in public schools and continue with their regular education. Only 17 people per square kilometre live in the rainforests of Arunachal Pradesh and Manipur. Two thirds of the inhabitants belong to local tribes that cultivate almost extinct languages, rare customs and religious believes. The isolated life in the foothills of the Himalayas is difficult. As everybody who can work is needed to till the soil, the youngest are often left behind alone in the villages. It is only a stone’s throw to Mount Everest. However, the life-styles of the people living here and those who prepare for their climb in the base camps are worlds apart. In addition, the omnipresent cast system remains an insurmountable obstacle – more so than the highest mountains. Therefore, it is still not commonly accepted in the region that everybody has a right to education. Besides, teachers are scarce, as they shy the hardships of life in the region of Bhandar. For the improvement of primary education in Bangladesh, Childaid Network announces a deepened partnership with the organization NETZ e.V. from Wetzlar, who is already supporting development in Bangladesh since 25 years.